This article is about Leith, Scotland. 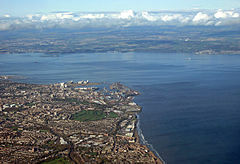 For other uses, see Leith (disambiguation). Very Rev Robert MacDonald (1813-1893) minister of North Leith Free Church, Moderator of the General Assembly of the Free Church of Scotland 1882/83. ^ "Site Record for Edinburgh, Leith, General North Leith; South Leith Details (Canmore)". RCAHMS. Retrieved 6 March 2012. 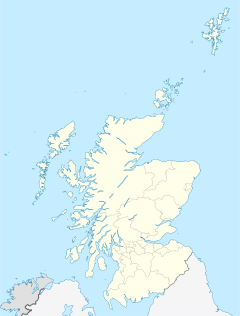 ^ "The Scottish Continental Herring Trade 1810-1914". Retrieved 6 June 2016. ^ Kenneth. "Tsar Nicholas II in Scotland". www.rusartnet.com. Retrieved 16 December 2016. ^ "Living My Life | The Anarchist Library". theanarchistlibrary.org. Retrieved 16 December 2016. ^ King, Content - Leith Local History Society, web design - David. "Leith Local History: Timeline". www.leithlocalhistorysociety.org.uk. Retrieved 16 December 2016. ^ "LEITH DOCKERS. - RESUME WORK. LONDON, August 14. - The Advertiser (Adelaide, SA : 1889 - 1931) - 16 Aug 1913". Trove. Retrieved 16 December 2016. ^ "Leith Dockers' Demonstration - The Shore, Leith, 1913". www.edinphoto.org.uk. Retrieved 16 December 2016. ^ Kenefick, William (15 July 2007). Red Scotland! : The Rise and Fall of the Radical Left, c. 1872 to 1932: The Rise and Fall of the Radical Left, c. 1872 to 1932. Edinburgh University Press. ISBN 9780748630820. ^ "The Story of Leith - XI. The Trade Guilds of Leith". www.electricscotland.com. Retrieved 23 June 2016.